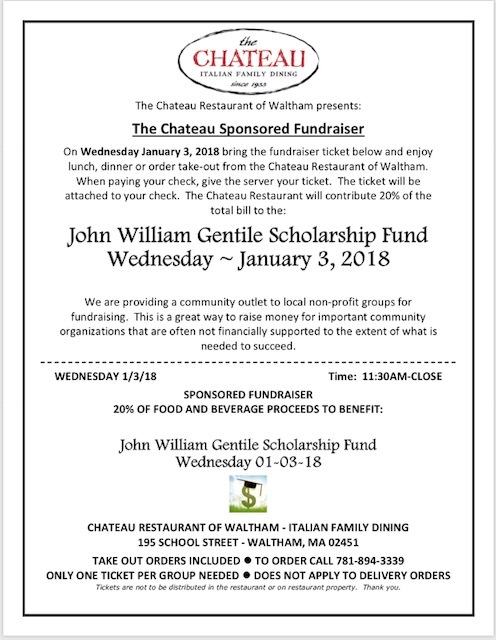 From 11:30AM to close, the Chateau Restaurant in Waltham will contribute 20% of your check to the John Gentile Memorial Scholarship Fund. As with all donations, this will directly benefit the recipients of the scholarship and will help keep the memory of John alive. BE SURE TO BRING THE COUPON BELOW!